Frazier visited Belfast in April 2003 at the behest of then Mayor Alex Maskey. The South Belfast MLA said this week that Smokin’ Joe had paid tribute to the city during the two days he was here by taking part in a number of events. “I was visiting the mayor of Philadelphia and met him through a mutual friend while I was out there. Joe was told I was Mayor of Belfast and asked if there was anything he could do for me,” said Alex. “I said yes, he could come visit Belfast, and within weeks he was here, paid for out of his own pocket. He was here for a couple of days and was a total star to work with. 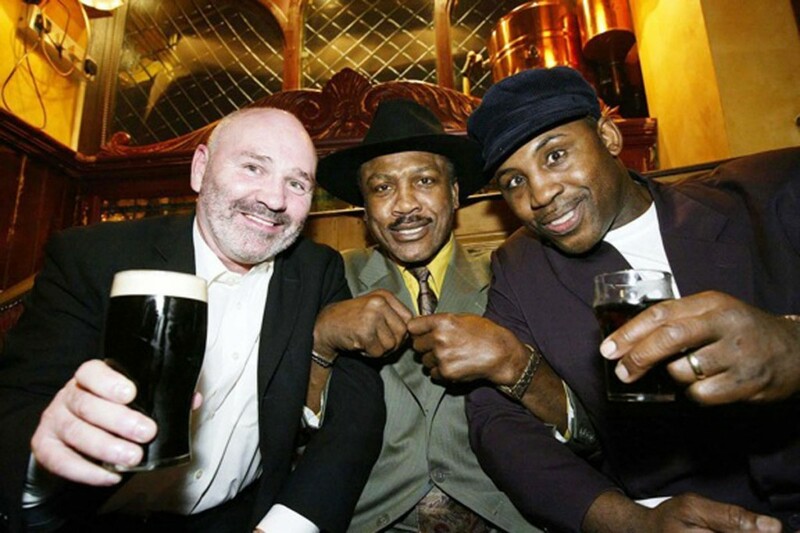 Mr Maskey said Joe Frazier visited several locations while in Belfast. Coming from a famous boxing family himself, Alex said Frazier was a hero and would be remembered as one of the all-time greats in the sport. “I subsequently met him on a number of occasions back in the States and he was an absolute legend. He was one of the best heavyweights in history and will be remembered for his toughness.